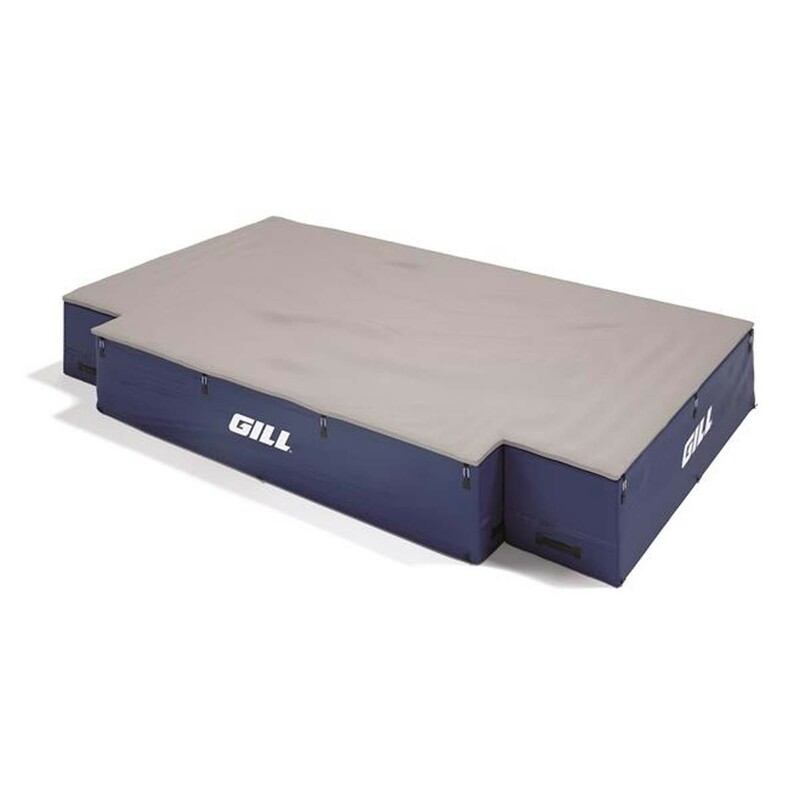 Overall size: 16'6" x 10' x 26"
The Gill S4 16'6" x 10' x 26" high jump pit meets both NFHS and NCAA specifications and features an edge-to-edge top pad design that eliminates spike contact with the base unit and unevenness at the edge of the pit to improve safety and increase the life of the pit. 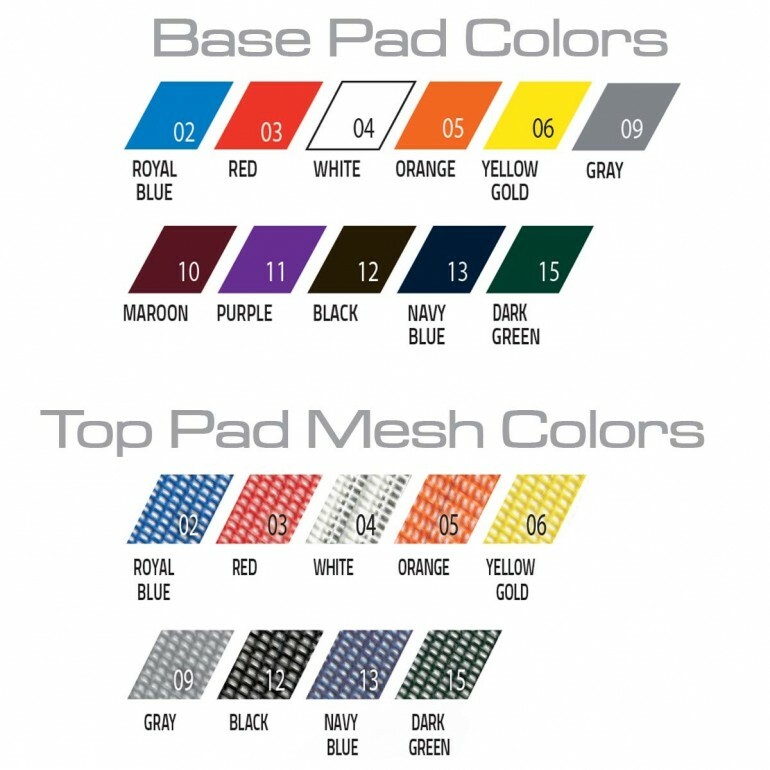 The top pad is made with soft and comfortable 2" duralife foam which is reversible for maximum interchangeability. Carabiner side attachments connect the top pad to the base unit to provide a safe, obstruction-free landing area for athletes. The Gill S4's all vinyl base features a unique design that keeps water out of the pit, much more effectively than old-school mesh top pits. 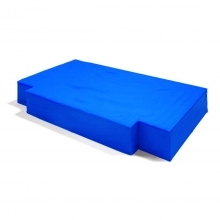 The base unit sections are made with quadruple duralife layer foam for safe, soft landings and are conveniently reversible. Choose from over 100 vinyl casing and top pad color combinations. Multi-color graphics on the top pad, weather cover (sold separately), or both, are also available. 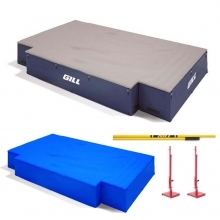 The Gill S4 high jump pit is backed by a 12 year warranty.